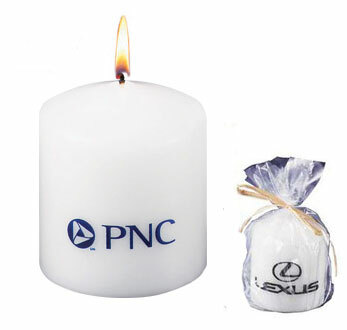 Pillar Candle is perfect for a simple promotion.Softly scented, white pillar candles are decorated with your one color logo directly on the candle. The scent is vanilla. The candle comes packaged in a poly bag and is tied off with raffia.